+5 to persuasion checks while attempting to seduce. 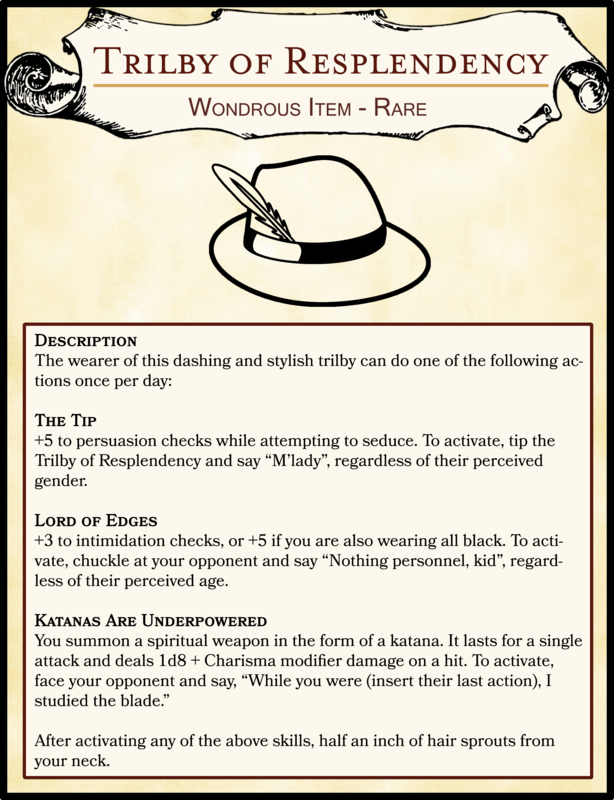 To activate, tip the Trilby of Resplendency and say “M’lady”, regardless of their perceived gender. +3 to intimidation checks, or +5 if you are also wearing all black. To activate, chuckle at your opponent and say “Nothing personnel, kid”, regardless of their perceived age. After activating any of the above skills, half an inch of hair sprouts from your neck.